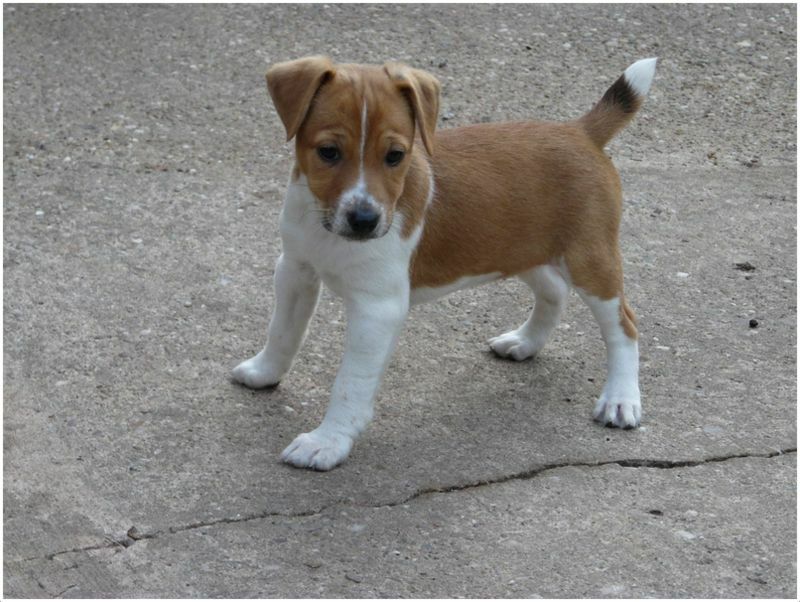 The Plummer Terrier is a small sized dog and is considered as the working terrier. The country of origin for this dog is United Kingdom and very less information is available about this dog. 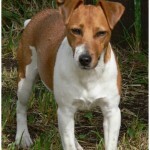 The Plummer Terrier is a small dog and belongs to working terrier group. The dog was named after the Brian Plummer. 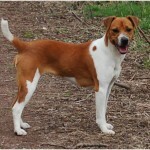 This breed of dog developed using Jack Russell Terrier, Beagle, bull Terrier and red Fell Terrier. It takes much time to make cats as friends. This dog needs time to become friends with other dogs. The temperament of the dog is alert, self-confident, fearless and friendly. Hypoallergenic aspect is not specified for the Plummer Terrier dog. The Price of the Plummer Terrier dog is about $200 to $600. 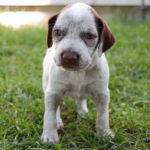 This dog can be trained easily and sometimes it may become stubborn and so early stage training is preferable. 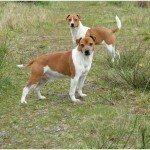 The Plummer Terrier is popular in chasing rats and is said to be one of the popular ratting dogs. 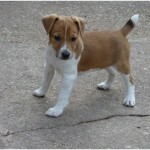 The Plummer Terrier dog appears to be small in size and seems sturdy. It has medium sized black eyes and the v-shaped ears are folded and drop downwards. The front legs are straight and strong and the tail of the dog is medium and upwards. It has a smooth coat which is attractive and generally it can be seen in red, brown, wheatish colors with white background. The height of the male dog is said to be about 12.6 – 14.2 inches (32 – 36 cm) whereas the female is about 11 – 13.3 inches (28 – 34 cm). The weight of the dog is about 12 – 15 lb (5.4 – 6.8 kg). 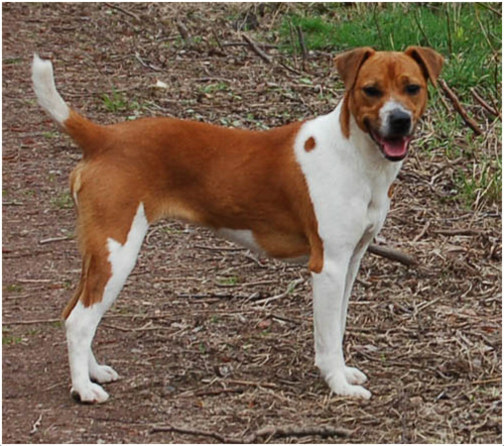 The Plummer Terrier dog is said to be alert, active and fearless dog. It has the tracking and hunting instincts and likes to chase the rats. It will be a good companion for the humans but doesn’t like to sit in the laps for the longtime. It can be good with the children if it is socialized during the puppy stage. 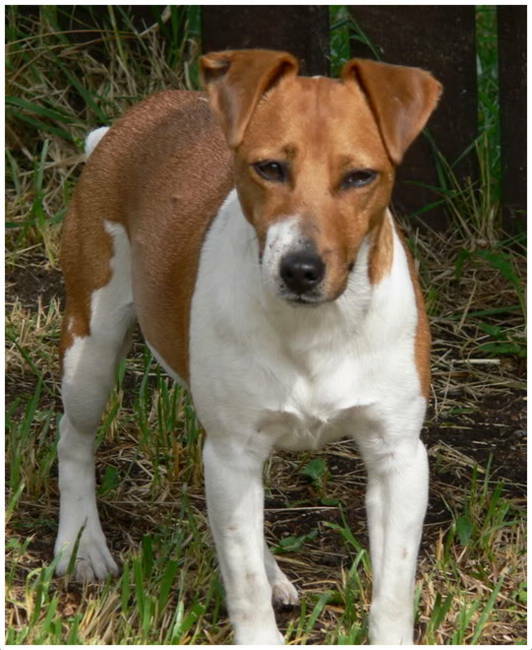 The Plummer Terrier dog is a healthy and fit dog, but just like all other dogs it can prone to some minor health issues. Although the health disorders for this dog are not specified but generally most of the people say it as a healthy breed of dog. Anyhow, the owners should regularly monitor the health of the dog and should consult the vet in case of any emergency or unusual symptoms. No special diet is required for this dog, but always feed the dog with high-quality meals and clean drinking water. Use quality milk and make sure not to over feed the dog to avoid the obesity problems. Experts suggest that, preparing and following a proper food schedule will be helpful for the dog to control the diet and marinating good health. The Plummer Terrier dog can be suitable for the apartments, only when it is sufficiently exercised. 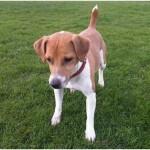 A house with small to medium sized fenced yard will be best for this dog as it likes to run and play all the time. It can be active indoors and outdoors as well. 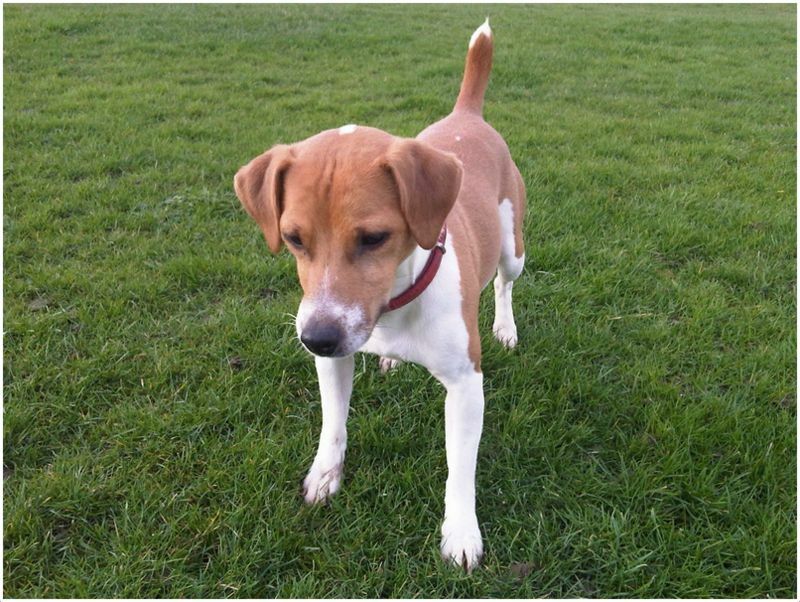 The Plummer Terrier dog needs a regular exercise to keep it fit and healthy. 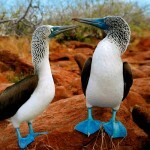 It will be the best partner for the daily walkers as it likes to walk along with the owners for long distances. It seems active all the time and likes to run in the yard. 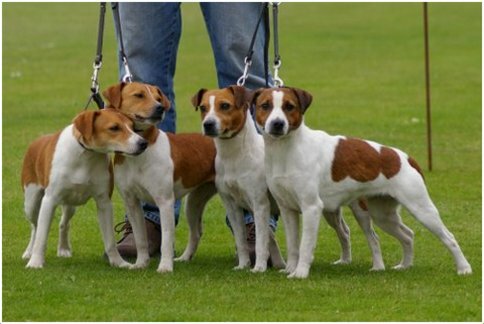 There is no specification on the litter size of this dog but it is said that, the Plummer Terrier dog can give birth to an average of 1 to 4 puppies. 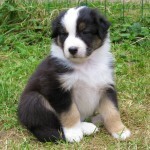 The dog will be reproductive in a short age and care should be taken during the time of pregnancy. As this dog is small in size, the big and large animals can be harmful for the dog. 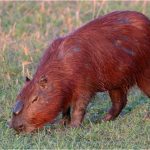 Due to its hunting instincts, it may chase small animals and sometime will possess danger from other big animals. So, proper supervision is required whenever the dog is on for daily walks or playing in the yard. 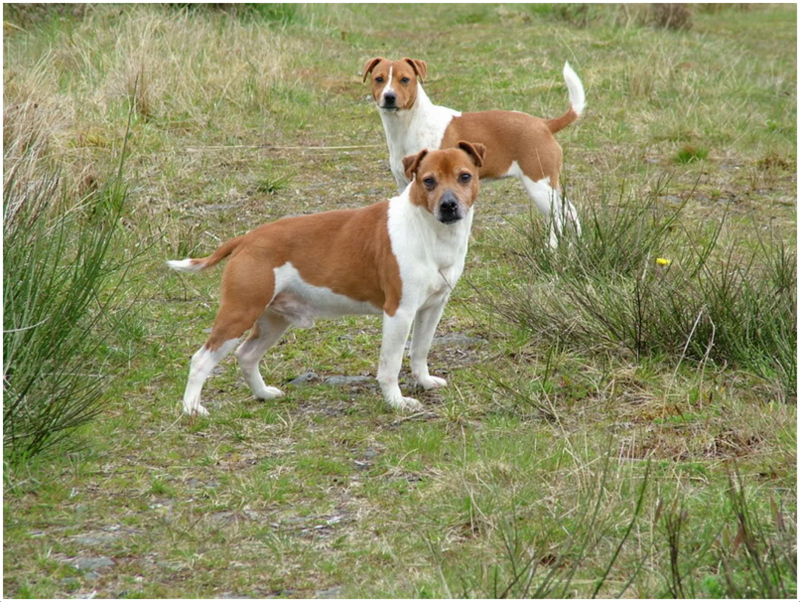 The Plummer Terrier should get the matured age for breeding and it is advisable to have a professional breeding for this dog. The smaller puppies should be raised with extreme care. 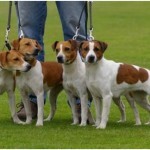 On an average, the Plummer Terrier dog can have a life expectancy of 12 to 14 years. A proper care in diet and health will be added benefit for the dog and will helps in increasing its life expectancy. The Plummer Terrier dog needs weekly brushing and bathing should be done only when necessary. Check the ears of the dog regularly and clean them to avoid ear infections. Trim the nails once in a month and always keep the dog healthy. The Plummer Terrier dog is an average shedder and regular brushing will fulfill its grooming requirements.